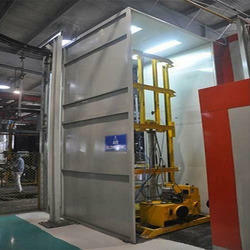 Our range of products include wet type liquid paint booth, back to back liquid paint booth, mild steel liquid paint booth, liquid paint booth for automobile, liquid paint booth and steel liquid painting booth. 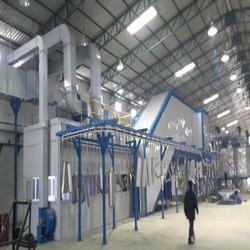 Being one of the reputed organizations in the market, we are engaged in manufacturing and supplying an exclusive range of Wet Type Liquid Paint Booth. 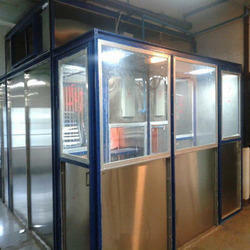 This booth ensures proper spray booth that enhance the efficiency in killing paint and air velocity in working chamber. The blowers that are used in this booth make sure that it exhausts the solvent vapors. Customers can avail this booth from us at market leading prices. By utilizing skills of our experienced professionals, we are manufacturing, exporting & supplying a comprehensive assortment of Back to Back Liquid Paint Booth. By utilizing skills of our experienced professionals, we are manufacturing, exporting & supplying a comprehensive assortment of Mild Steel Liquid Paint Booth. We are known for our quality, keeping in mind our reputation, we are offering Liquid Paint Booth for Automobile to our valuable customers at affordable prices. These products are manufactured using quality raw material and by qualified professionals. With sincere intentions to preserve and uplift our reputation in the market, we are offering a comprehensive assortment of Liquid Paint Booth. 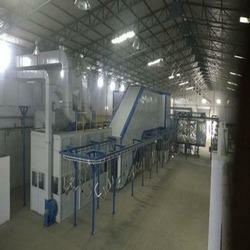 Our offered paint booths are manufactured in such a way that we are able to maintain globally accepted standards. Owing to their remarkable features, these products are largely demanded in the market. In addition, clients can avail the offered range from us in a wide range of specifications. We have a technology to build turnkey Steel Liquid Painting Booth for parts with specially designed pressurized spray booths with wet scrubber, online sludge separator system, intermediate flash off zone, air supply unit, paint mixing room & conveyor systems. By utilizing skills of our experienced professionals, we are manufacturing, exporting & supplying a comprehensive assortment of Liquid Paint Plant. We also hold expertise in successfully handling the requirements of Stainless Steel Liquid Paint Booth that are precision designed for heavy as well as voluminous components. These are difficult to handle and are perfect for different surface application areas like o tractors, chassis of vehicles, trailers, earth moving machinery and others. 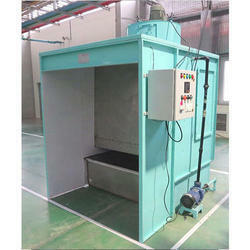 Further, depending on size of components, these painting booths can be single or double sided meaning presence of single or double extraction chamber on either or both sides of component. 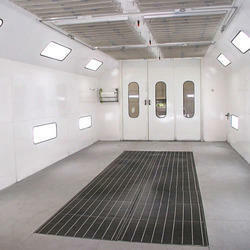 Looking for Liquid Paint Booth and Plant ?